Thunderbolt� 3 brings Thunderbolt to USB-C at speeds up to 40Gbps, creating one compact port that does it all � delivering the fastest, most versatile connection. ARC-8050T3 is equipped with dual Thunderbolt 3 ports for connecting to any Thunderbolt 3 enabled Mac or PC host and o daisy-chaining other Thunderbolt 3 devices, while also supplying power for quick notebook charging. The Thunderbolt daisy-chaining allows connection of up to six devices, so customers can connect ARC-8050T3 for massive amounts of video storage with a single Thunderbolt connection to their host computer. ARC-8050T3 can meet the demand of users when working with rich, ultra-high resolution media through Thunderbolt 3 interface. The ARC-8050T3 also sports a 12Gb MiniSAS Expander Port for adding more storage by daisy-chaining addition JBOD units and a full sized DisplayPort video output on its rear, allowing for a quick and easy secondary 4K display running at full 60Hz. ARC-8050T3-24R is a 24bay 4U Rackmount SAS/SATA Hardware RAID Storage solution for both PC and Mac working environments. The ARC-8050T3-24R performance is driven by an on-board Hardware RAID-On-Chip and ECC SDRAM memory delivering true high performance RAID protection against drive failure. 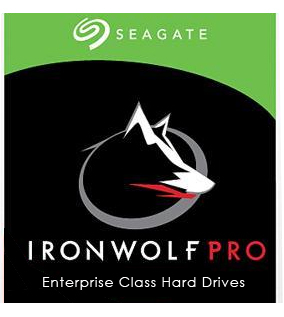 This combination helps to provide a high performance storage device ready to take on real time multi-steam HD, UltraHD, VR, 360, 4K, 6K and 8Kworkflows. The ARC-8050T3-24R offers a 12Gb MiniSAS expansion port that allows you to Instantly grow your storage. Effortlessly add additional cost-effective 12G SAS Expander JBOD Units, up to 256 drives total! Or convert any existing MiniSAS expander JBOD storage to be use with any Thunderbolt 3 enabled host. The ARC-8050T3-24R supports Hardware RAID 5 for uninterrupted data availability in a single drive failure event or RAID 6 for dual drive failure safeguard. Hot-Swappable drive bays provides zero downtime during a drive failure event. Intelligent power On/Off function powers the ARC-8050T3-24 unit in unison with the host computer during startup and shut-down for extra level of data integrity. 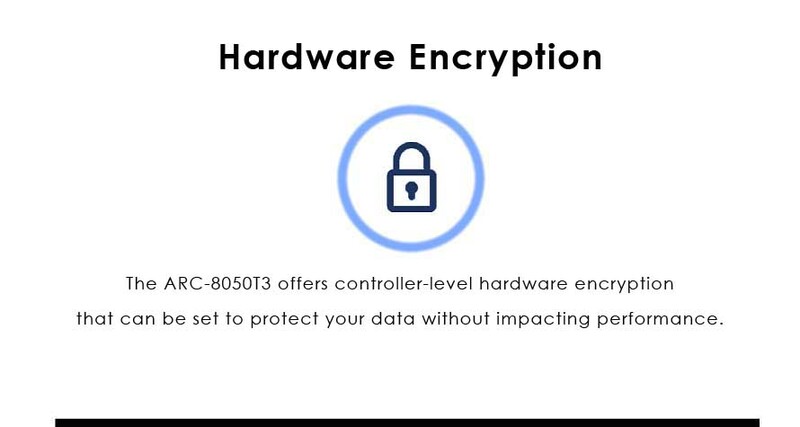 Board-level hardware encryption manages all drives attached to the ARC-8050T3-24R without impacting the performance for higher levels of security and protection.